It is a monthly study that uses multiple methods to sample fish in shallow, brackish-water habitat and has been designed since inception to monitor the status of fishes that use Suisun Marsh. It is particularly effective at sampling native fishes [e.g., splittail (Pogonichthys macrolepidotus), tule perch (Hysterocarpus traski)] that depend on the marsh for all or part of their life cycles and at detecting new invasions of alien fishes and macroinvertebrates. It collects large numbers of individuals of a number of key species in comparison with the other sampling programs. Consistent with our high catch of fish in Suisun Marsh, other sampling programs that have stations in Suisun Marsh (i.e., Montezuma Slough, which is the largest slough in Suisun Marsh) tend to have their highest catches there, suggesting the importance of Suisun Marsh for fish production in the estuary. It is both a monitoring and research project, so that it has consistently produced publications in peer-reviewed journals. It serves as a training and outreach project with dozens of students, citizens, and agency biologists participating in the sampling as volunteers. This effort allows participants access to the marsh while providing an increased understanding of fish, invertebrate, and water-quality sampling procedures, and it also enhances awareness of native fishes and conservation-related issues. It provides an opportunity for graduate student research, including that of eight students who have done their thesis or dissertation work as part of the project. It actively welcomes and promotes collaboration with other agencies and researchers, including collecting fish for contaminant and taxonomic studies. In 2009-2010, the program collected fish samples for at least seven other researchers, in addition to specimens taken for educational purposes. It allows evaluation of how various internal actions affect fish populations in Suisun Marsh, such as operation of the Suisun Marsh Salinity Control Gates, duck club operations, and treated sewage effluent release, as well as allowing better evaluation of human-caused pollution events (e.g., oil spills) in SuisunMarsh. It provides data to compare anthropogenic actions with the effects of high-impact natural events (e.g., drought, floods). It allows for validation of status and trends detected in the other studies, especially for key native species. 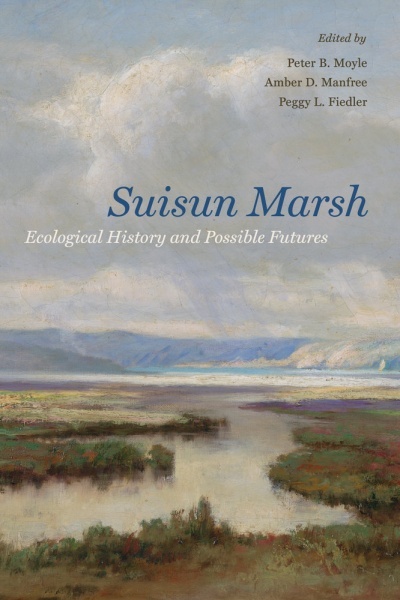 Spring 2010 newsletter for the Interagency Ecological Program for the San Francisco Estuary contains a lengthy summary of findings in the Suisun Marsh in recent years, starting on page 26.